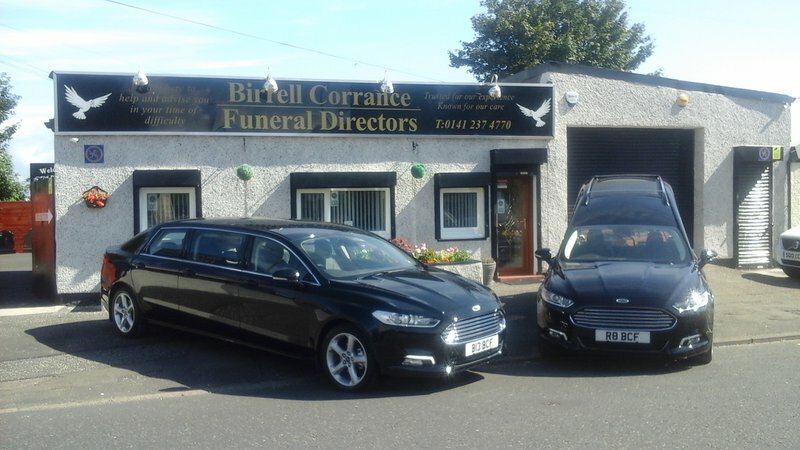 The caring team at Birrell Corrance Funeral Directors in Cambuslang believes that everyone deserves compassionate care and support when they are bereaved. They are on call, night and day in Cambuslang community and the wider community they are proud to be a part of. Between them, the funeral directors and caring staff have more than 30 years experience looking after bereaved families and their loved ones. They will help you to arrange a funeral according to your tradition, faith or wishes, truly listen and support you every step of the way. The Cambuslang funeral home is a member of the National Association of Funeral Directors and is proud to maintain its high standards of funeral service and compassionate care. Families arranging a funeral can be assured of kind and professional support, with the empathy that funeral director Robert Birrell and his team would hope for their own families. With a beautiful chapel of rest and parking on site and nearby, Birrell Corrance Funeral Directors provides family with time and space for families to talk in reassuring surroundings and spend precious time with their loved one. Funeral transport includes stylish and comfortable limousines for family mourners, while choices include a traditional hearse, horse and carriage and vintage hearse, to convey a loved one to their funeral with dignity. According to your wishes, the team can arrange for special funeral tributes to mark a loved one’s life, from a piper at their service, to memorials including ashes-into-glass keepsakes. Happy to chat to those who are thinking a little ahead, Birrell Corrance Funeral Directors offers Golden Charter Funeral Plans. At a very difficult time, call Birrell Corrance Funeral Directors for help and compassionate support when it is needed most. Thank you Frances for your kind comments. We would like to express our gratitude to Robert Birrel for a lovely, very caring and personal service. We could not have received a better service. Thank you Angela/Kevin for your very kind comments. Thank you Maureen for your kind comments. Thank you Louise for your kind comments, it was our pleasure to look after your family at such a difficult time. Service was totally professional. Staff great and friendly. Would not have any hesitation about recommending this company. Thank you John for your kind comments. 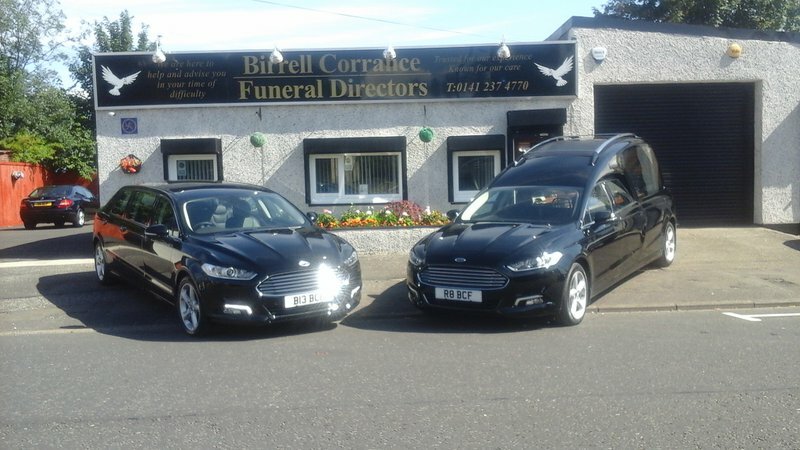 Birrell Corrance Funeral Directors, could not have shown anymore professionalism , caring and with a personal touch 2nd to none on probably one of the safest days you will face when losing a loved one. I would highly recommend anyone to ensure they are your 1st choice when the day arrives you have to say goodbye to a special loved one in your life. 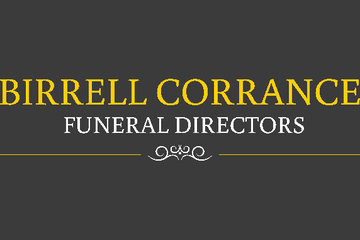 Birrell Corrance Funeral Directors, Cambuslang will provide you with a free obituary as part of their service.